Most of us remember the first days we noticed hair loss. Looking in the mirror or some friend or colleague commenting on thinning or a receding hairline. Advances in hair loss prevention and hair transplantation surgery have developed with medical improvements. Even so, hair restoration planning is important. Understanding when it may be the best time to undergo a hair transplant procedure. Knowledge and skills have improved the results achievable for the right candidate. Genetic hair loss is progressive in both male and female hair loss sufferers. 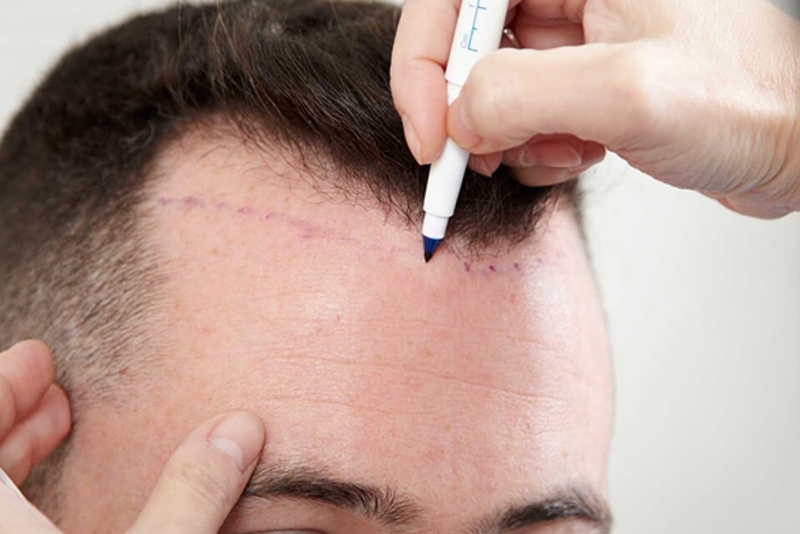 Developments in surgical techniques have given the patient improved results but only when the current and future hair loss patterns are considered. Generally, a man or woman we try to look our best. Feel good about ourselves and like to convey a youthful appearance to others. Life today has its own demands and more and more people look to cosmetic surgery for answers to the ageing process. Having the ability to restore something genetics has deprived us of can restore our own feel-good factor. A more youthful appearance can rebuild or enhance our self- confidence and self-esteem. It is hard for most to relate to the psychological aspects of why we seemingly need hair. At any age for some of us. Many aspects of life today is built around now. Everything is wanted and expected now, no waiting. Answers at our figure tips. One can easily become over confident in the ability to make a proper decision. The belief that one should not be denied their youth can result in a hasty decision. It is important to understand, medically or surgically there is no miracle cure. Results will vary from person to person. No one can promise a specific result. Importantly, you research the products and techniques available before making any steps to use them. It is known that not all hair is permanent. Some hair is pre-destined to fall out and not regrow over the person´s lifetime. The hair loss pattern is largely dictated by hereditary genes. From minor to advanced hair loss patterns. Even with advanced stages of hair loss most men retain a band of hair around the sides and the back of their head, the “donor”. Knowing what and when to do something about your hair loss is part of managing your expectations. Understanding what can realistically be achieved and long-term being happy with the results. Maybe the biggest two aspects to consider will be your age and your hair loss stage. Especially when in the early stages hard to predict the long-term pattern. It is important to consider that a hair transplant is not a cure for hair loss. Also, fixing a low hairline is permanent. As a result, if hair loss continues that low hairline may not appear natural in the future. There are medications available that have been FDA (Food & Drug Administration of America) approved to help stem the loss of hair. In some cases even improve on the growth of the existing hair. Although FDA approved it must be understood results can vary from person to person. Treatment can help to maintain your existing hair. Also, add to a hair transplant result when used together. In younger hair loss sufferers and especially in the early stages of hair loss treatment should be the first option. The premise of a hair transplant is the redistribution of genetically strong hair. From an area called the “donor site” and placing this hair to an area of hair loss, known as the “recipient area”. The donor hair is made of genetically strong hair. Some of this hair can be moved to treat areas of hair loss. Today there are two recognised techniques. They differ mainly in the technique to remove or harvest the donor hair. STRIP Surgery/FUT and Follicular Unit Extraction/“FUE”. Both use follicular units to mimic nature in restoring areas of lost hair. Natural looking hairlines and hair coverage can be achieved even on advanced hair loss patterns. Body hair transplants are also an option. Using the FUE technique to remove hair from the chest, beard and on occasions arms and legs. Body hair can be used when the scalp hair donor has been exhausted. This option is technically demanding and the hair characteristics need to blend to make it viable. How many hair transplants are needed? Depending on the technique and hair and skin characteristics there can be the potential to remove 7-9000 grafts on an average scalp. Even advanced hair loss stages can successfully be treated with these numbers. This requires careful planning from the first procedure. To attempt to harvest these numbers especially in one or even two procedures can damage the hair and skin. More procedures can be carried out at a later date if hair loss progresses or the current hair loss pattern cannot be treated in one procedure. Advances in hair transplant surgical hair restoration techniques are well suited to treat both men and women. Today´s technology enables high density and natural hairline designs. For those that are suitable candidates, the latest follicular unit grafting hair transplant methods present an ideal solution. Factors such as age and current hair loss pattern, the Norwood Stage. Family genetic hair loss pattern and progression of hair loss will help to plan today’s and future hair restoration. Are they compatible with what is technically possible? Am I prepared to use treatment if it´s the best option? If my hair loss progresses is your donor area good enough to maintain hair restoration? Is there a better hair transplant technique for me? Am I prepared to possibly undergo multiple hair transplants over time?